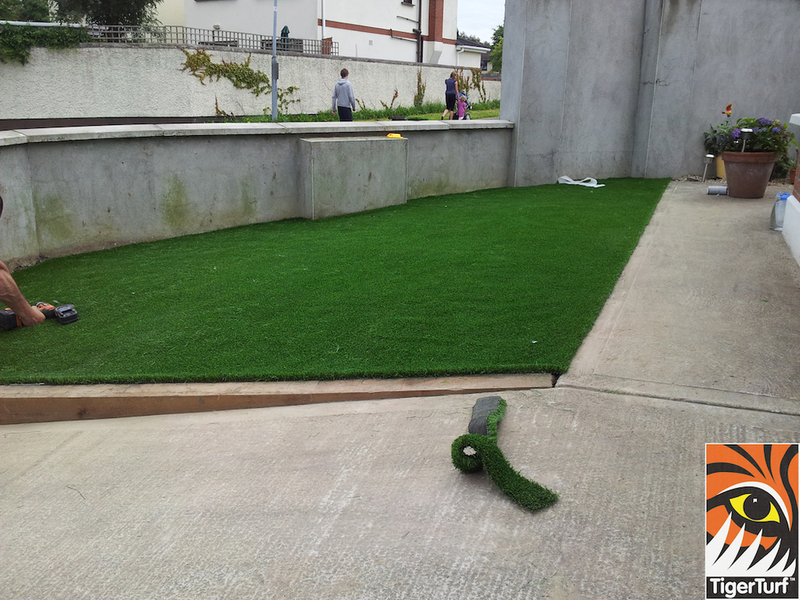 A Garden owner had just moved into new property for their retirement and decided would rather enjoy relaxing than maintaining their new lawn. The front Garden was transformed in a day and with the inclusion of sleeper driveway and lawn are now on split levels neat and tidy with now maintenance now or in future. 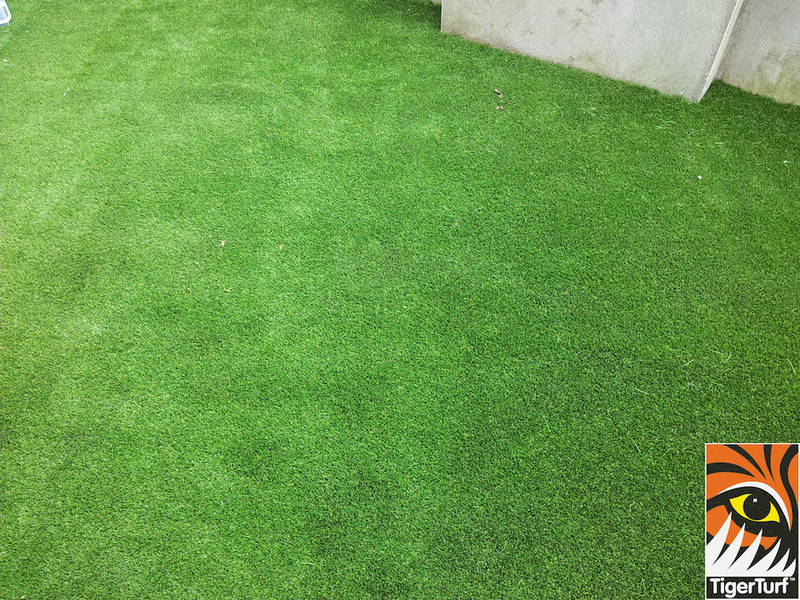 Vision Plus Deluxe worked well in this petite lawn to give an evergreen year round grass that won't fade over time. 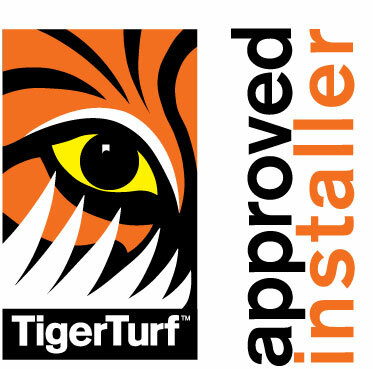 TigerTurf perfect Results every time! 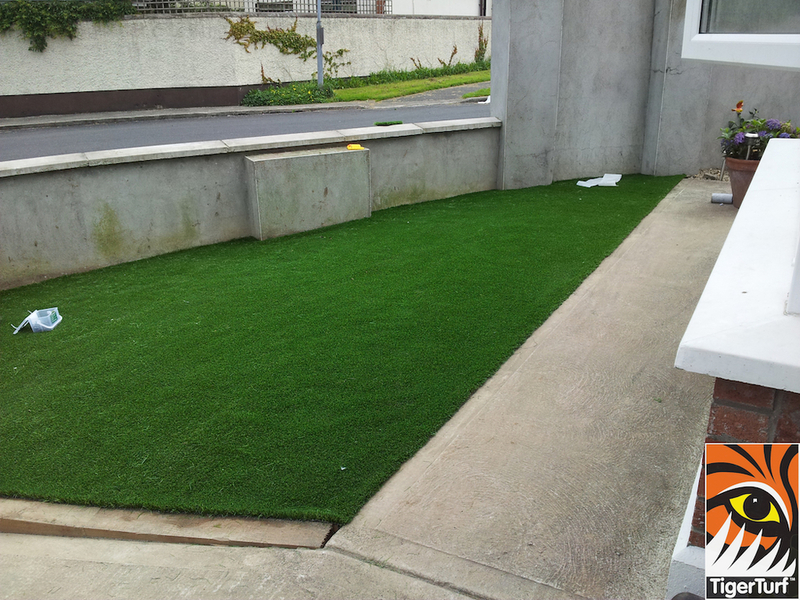 Call us now for your fee consultation for your lawn or putting green. 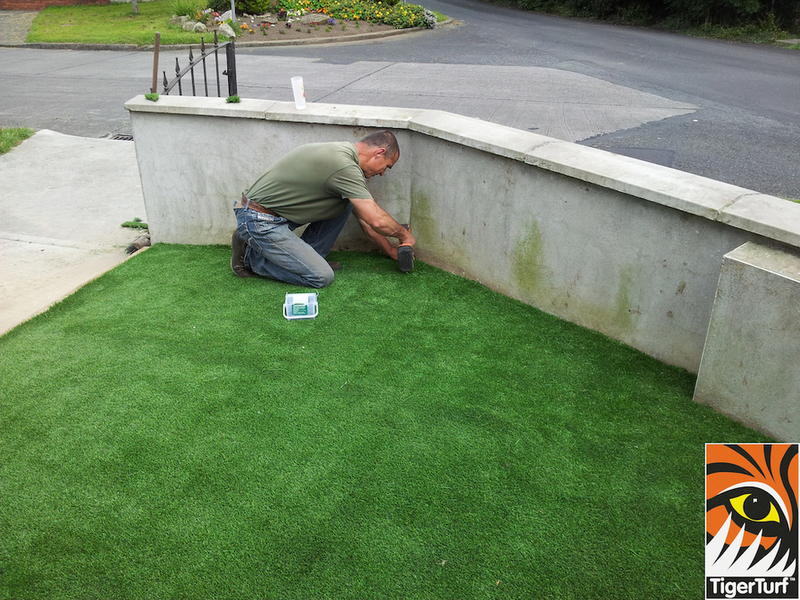 employed Amazon to landscape a new lawn in our front garden.